The Publishing Training Centre (PTC) is a UK-based resource centre and training provider for anyone involved in the publishing industry, including copyeditors and proofreaders. It offers industry-recognized training courses (short and distance learning), useful articles, news, career guidance, the Freelance Finder directory, and a new discussion forum. See my article Does Training Matter? What Publishers Say about Proofreading & Editing Courses to see what publishing houses think about the PTC. I have undertaken a number of their courses over the years. Of particular note for aspiring proofreaders is the Basic Proofreading by Distance Learning course, which I took back in 2005 and highly recommend. The course comprises a number of assignments that are assessed by a personal tutor. At the end of the training you will be awarded a certificate indicating the grade you have achieved (pass, merit or distinction). 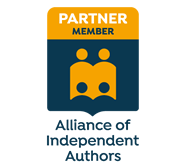 ​This counts towards membership application for the Society for Editors and Proofreaders and also entitles you to inclusion in the PTC's Freelance Finder directory. ​Louise Harnby is a professional proofreader and copyeditor. She curates The Proofreader's Parlour and is the author of several books on business planning and marketing for editors and proofreaders.